Shane Shirley : Enter to Win the EB Fan Summertime Save Face Giveaway! Enter to Win the EB Fan Summertime Save Face Giveaway! Win My Favorite Green Living, UV Face Defense and Fight the Harmful, Wrinkle Rays of the Sun in the EB Fan Summertime "Save Face" Giveaway! If you are looking for a great way to protect your face from the harmful, wrinkle rays of the summertime sun, look no further. 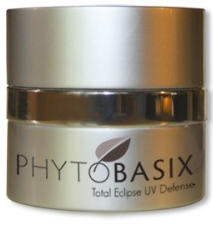 Enter below to win my favorite green living, PhytoBasix Total Eclipse UV Defense by Sunshine Botanicals and "save face". Phytobasix protects my skin against the damaging UV rays of the sun without harmful chemicals like Parabens, petrochemicals and synthetic fragrances and it also fights the signs of age with antioxidant protection. It smells good enough to eat and its self adjusting color, naturally balances out my uneven skin tone and leaves a matte finish that I cannot live without! Phytobasix Total Eclipse is a light weight, matte finish, antioxidant cream that doesn't clog my pores and cause breakouts. In fact, even if you have acne, you can safely use this sun protection without making it worse. Natural, ultra fine minerals reflect even the sun’s most damaging rays without irritation or sunscreen chemicals. Botanical extracts and antioxidants soothe and protect the skin from environmental damage and my skin is hydrated without looking or feeling oily. Phytobasix Total Eclipse also contains Betula Alba (Birch Bark extract), which research is showing to be a very effective botanical ingredient to address the needs of severely sun damaged skin and pre-cancerous lesions. 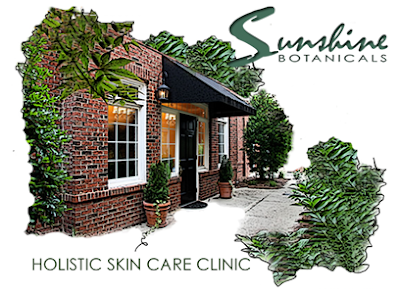 What do you have to lose except the signs of sun damaged, aging skin? Enter now in the Rafflecopter entry form below to win and you will become a fan too! Good Luck and remember, after you leave a comment below for the mandatory entry, you will unlock even more ways to earn extra entries.